We live through life without figuring what is contentment to us and how much will contentment cost you. Figure out yours today. I do not know where I heard this but someone did tell me Money doesn’t buy you Happiness. Wow. If that is the case, then why the heck are we slogging so much at work that sometimes we don’t enjoy for? Its hard to deny how important the role of money play in our lives. So much so that we trade so much of our precious time in exchange for money. With money you get to exchange tangible things and intangibles that makes life fulfilling. If that is the case, more money more happiness? The nerd in me tries to figure out how to relate why some of my peers can be contented with a life without living in a condominium while others was extremely disappointed that soaring prices have prevented them from buying a condominium. Until I chance upon the Fulfillment Curve, and then I realize how well it illustrates these differences. I couldn’t be that smart to create something like this. I was surprised it wasn’t mentioned much consider this was illustrated in the book Your Money or Your Life. 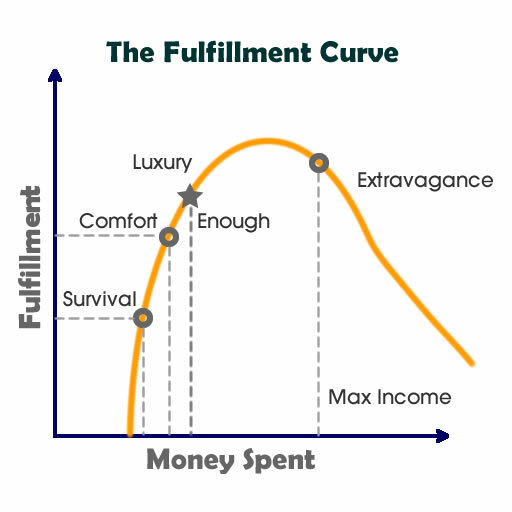 The fulfillment curve plots how much you spend against how much fulfillment you derive from that. The fulfillment curve is trying to resolve between two dimensions, your spiritual state (fulfillment) and the tangible state (money). The more money you spend initially, the better you derive a better life. If you earn $1200 in disposable income, you have to struggle to make do with that sum to make ends meet. You probably need to find rent at the outskirts of Singapore for $400 per month, take public transport costing $100 per month, meals costing $300 per month, $30 worth of hand phone cost, leaving you with $370 for anything that’s left over. Are you happy about this situation? You are probably not contented because this is barely taking care of life and you couldn’t plan for a family or any future plans. If you start earning a disposable income of $2,000, you have more things to work with. Now you have $1170 excess money excluding the bare minimum we mentioned in survival. Are you contented? Perhaps. The situation is definitely more fulfilling then when you don’t even have enough to save. Still it could be better. A few job hop allows you to earn a disposable income of $4,000. Now you are really feeling it. You can channel more to building wealth, you can really start thinking of settling down and saving for housing renovations. You can even indulge in some of your favorite hobbies and go for vacation. You realize why stop at $4,000? With a higher disposable income you can indulge in more hobbies, you can ramp up your savings rate. Your child needs a fine education and that would mean you need more money. When you have a family to go out, you had to have a car. $4,000 is not enough. Most of us go through this cycle, and because there is no user manual in life, we didn’t take a step back and see that, at a certain point above Comfort, spending more money would not increase our fulfillment. 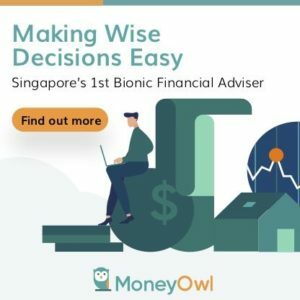 We became unconscious with not just the way we spend our money, the chase for more disposable income, put up with more of our family and friends demands, that we forgot to carry out a simple self assessment. Each of us have a different set of values in life, what is enough for me, may not be enough for you. However, figuring out what is enough goes a long way of not putting yourself down because you are not making as much, if you already past that comfort level. Figuring out whether holiday is really high on your value system lets you figure out whether you are going on holidays because they are truly good experience for you or that it have become an “annual job” because that is what the annual leave is for. Over the point of ‘Enough’, purchases are usually down to a failure to assess and understand fulfillment, or that you have an extremely large void in life that you need material and intangibles to fill. 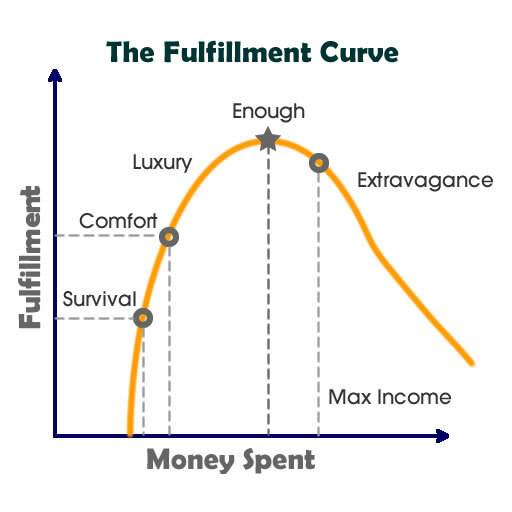 The Fulfillment Curve resolves between how content you felt about your situation versus your earnings capacity. The difference between money committed to feeling ‘Enough’ and your maximum disposable income , becomes the level of postponement and investment that one can make. 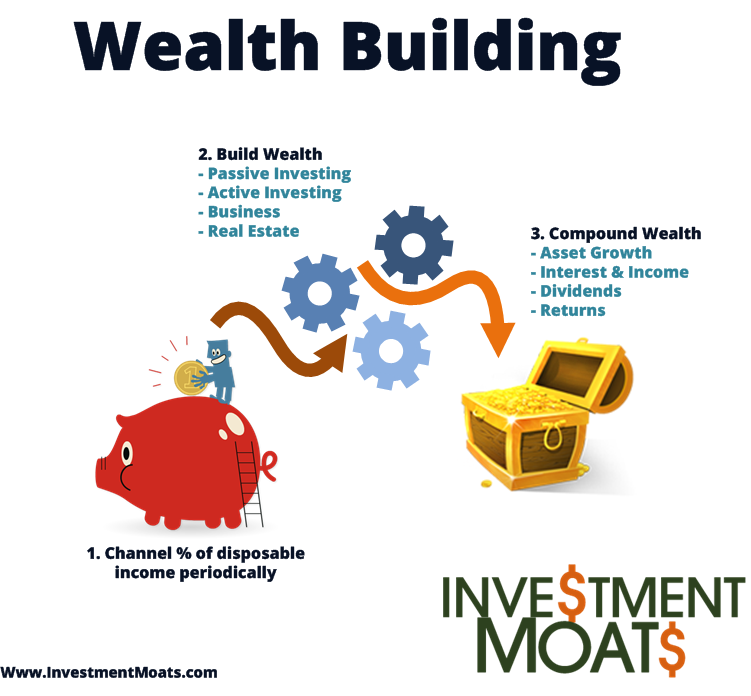 We usually refer this to building wealth, gaining a separate stream of income, but could very well be channelling to where you feel most fulfilled, such as charity and gifting. The self assessment of what is your individual contentment is part of understanding the floor that is necessary for one to have in order to realistically consider financial independence. Fool proof your financial independence plan requires a realistic understanding of fulfillment. I would think that a large number of people don’t really need that much luxuries in life. The simpler your value system, the easier you are easily fulfilled. When the money you spent to feel ‘Enough’ is so close to satisfying basic comfort, you gain a big advantage of building up towards the right of postponement to take a closer step to Financial Independence. Its easy to say that you are different from others so you probably can survive on $700 per month and that your comfort is close to $1,000 per month. The risk here is that most of us are too young in life to know everything. We might not realize our selection of food so that we survive on $1,000 is detrimental in the long run, or that healthcare investments is a kind of comfort that you are omitting since no one told you that. This post is more of hoping it triggers some questions for you to take a step back so that you can recalibrate what is important in life. Fine-tune the mindset will release you from the prison that you need to earn more just to get ahead in life into thinking how much ahead in life is enough. Yes you are right. It is strange. I know its suppose to taper off but i guess i have to change it tonight! Arghhh this is going to be a big challenge. well, just paste a white shape over the yellow curve from 2 to 6 o’clock. BTW, thanks for all your great articles. They are really helpful! Haha thanks for the suggestion. Let me see if my drawing skill is good tonight haha. No worries. Hope it enlightens more. If you are saying you are far from the right side then its a good thing! Though we ourselves may feel contented with certain basic necessities, societal influences, especially pressures to conform, keep up with the Jones, can cloud people’s judgments of what income level is sufficient. Also, humans have an irrational perspective that more is better, translating to believing that the primary aim in life is to earn more money. hi jomel, thanks for the comment. appreciate it. i thought that is a very comprehensive way to reflect that concept. kudos to the original author for being able to formulate that. Happiness = fortune / desire !